Do you remember the ice bucket challenge? The general idea was to let your friends tip a bucket of ice-cubes and cold water over your head - or you had to donate to charity as a forfeit. Look up the videos on you-tube, I'm sure they're still there. My own favourite was actor Patrick Stewart who sensibly put the ice in his drink whilst writing a cheque to his favourite good cause. 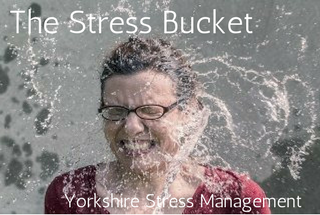 So what has this got to do with stress thresholds - apart from being deluged with icy water being (I assume) a fairly stressful experience?